This blog post is the first in a series on Percona’s MongoDB 3.4 bundle release. 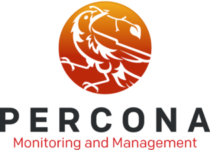 This release includes Percona Server for MongoDB, Percona Monitoring and Management, and Percona Toolkit. In this post, we’ll look at the features included in the release. We have a lot of great MongoDB content coming your way in the next few weeks. However, I wanted first to give you a quick list of the major things to be on the look out for. This new bundled release ensures a robust, secure database that you can adapt to changing business requirements. 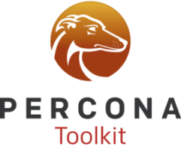 It helps demonstrate how organizations can use MongoDB (and Percona Server for MongoDB), PMM and Percona Toolkit together to benefit from the cost savings and agility provided by free and proven open source software. Percona Server for MongoDB 3.4 delivers all the latest MongoDB 3.4 Community Edition features, additional Enterprise features and a greater choice of storage engines. Shard member types. All nodes now need to know what they do – this helps with reporting and architecture planning more than the underlying code, but it’s an important first step. Faster balancing (shard count/2) – concurrent balancing actions can now happen at the same time! Graph aggregation functions – we will talk about these more in a later blog, but for now note that graph and faceted searches are added. MongoRocks, the RocksDB-powered storage engine, designed for demanding, high-volume data workloads such as in IoT applications, on-premises or in the cloud. Percona Memory Engine is ideal for in-memory computing and other applications demanding very low latency workloads. This is useful for any DBA who wants a general idea of what’s happening in the system, what the state of their cluster/replica set is, and more. Query digest is one of the most used Toolkit features ever. In MongoDB, this is no different. Typically you might only look at your best and worst query times and document scans. However, this will show 90th percentiles, and top 10 queries take seconds versus minutes. For all of these topics, you will see more blogs in the next few weeks that cover them in detail. Some people have asked what Percona’s MongoDB commitment looks like. Hopefully, this series of blogs help show how improving open source databases is central to the Percona vision. We are here to make the world better for developers, DBAs and other MongoDB users.